He’s become the youngest player to record a hat trick in the USL’s history, and his international future has become a major talking point before making his debut in MLS. Now the LA Galaxy II’s Efrain Alvarez is also the No. 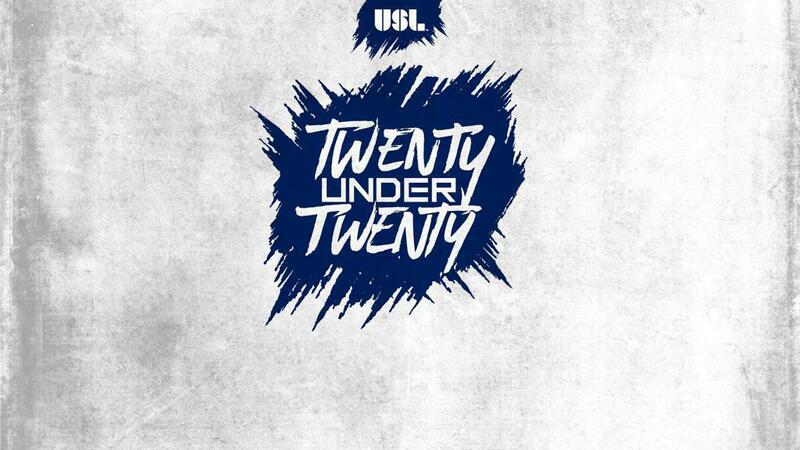 1 player in the 2018 USL 20 Under 20. Alvarez is joined in the top three by a Swope Park Rangers midfielder who has come into his own during his second professional season and his attacking teammate for Los Dos who has also had a breakout year with double-digit goals. As we wrap up this year’s countdown, here are players No. 3-1. With a nickname like ‘Malaysian Messi’, there’s been a strong feeling of fun around the emergence of Wan Kuzain with the Swope Park Rangers over the past two seasons, and the talent the 20-year-old brings to the field has made him another of the top young talents signed to a Homegrown contract by Sporting Kansas City when he made the move in April this year. Kuzain’s ability to link play at a high level was evident last season, and he’s maintained that this season with a pass completion rate of 89.3 percent on 59.5 passes per 90 minutes. What’s new this season, however, is Kuzain’s ability to fire from long range that has made him a threat to fire on goal from free kicks. Both of Kuzain’s goals this season have come in that fashion, and both landed on ESPN’s SportsCenter Top 10 that night, testament to the flair for the spectacular he’s capable of. Having also claimed his first goal for Sporting Kansas City since signing his Homegrown deal, it’s possible we’re seeing the start of a very bright future. He’s certainly got the nickname for it. What makes the player so talented? With Kuzain, what makes him so talented is he’s a very technical player with very good quality of passing. One of the reasons that he’s so talented in the way that we play is that he possesses those qualities and really fits the way we want to build the team. What’s going to take him to the next level? I think this answer is basically the same for most of these guys in that it’s just about getting to the speed of play in MLS and the next level, and the physicality and the athleticism that is required to play on that level. Kuzain is on a good route and hopefully he can make it. 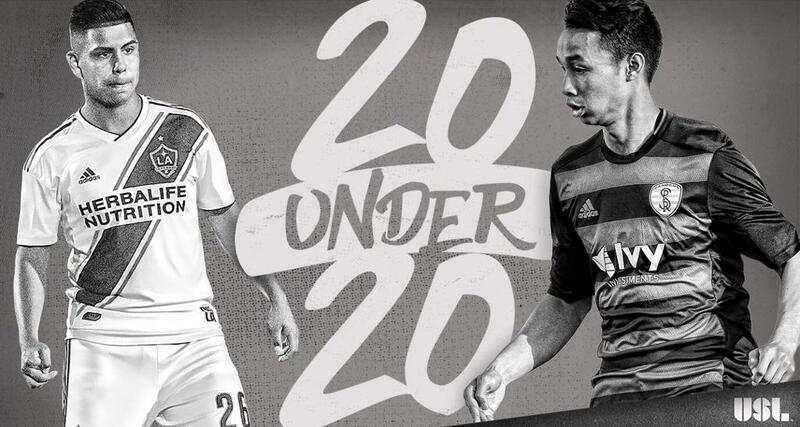 Selected in the top three of the USL 20 Under 20 for a second consecutive season, Ethan Zubak has posted a breakthrough season to reach double-digit goals for the first time in his career, putting more meat on the bones of the promise he showed a season ago when he counted among his accomplishments becoming the scorer of the fastest goal in the USL’s modern era. Zubak has averaged better than a goal every two games this season, including two of the bigger individual performances of the 2018 season that saw him record a hat trick against Saint Louis FC and a four-goal performance against Las Vegas Lights FC. Zubak has been efficient in taking his chances with a 30 percent conversion rate this season and has also notched 33 chances created while combining with fellow attacking pieces Efrain Alvarez and Frank Lopez, all of whom have recorded at least 11 goals this season. With more than 80 appearances and almost 5,000 minutes logged at the USL level, the big test for Zubak may come this offseason as he looks to make the jump to the Galaxy’s ranks. It will be intriguing to see what is next for one of the more prolific young forwards in the USL. How would you evaluate Ethan’s 2018 season and what has he showed to you this campaign? Ethan has shown tremendous growth this season in all aspects of his game. He has the ability to make the opposition extremely uncomfortable with his movement when we are in a position to hurt and he has the ability to put defenders under real pressure when he is defending. He has built tools in his game that he didn’t have before technically and tactically and you add that with his unique physical qualities you are starting to see a mature forward in this league. What’s ahead for Ethan and what will take his game to the next level? He’s just recently taken the captain’s arm band for our team at a young age and is beginning to show his maturity in this aspect. He needs to continue to be humble, work hard and understand what his strengths are and what has gotten him to this point and not forget that. He will continue to be exposed in front of the 1st team staff and get opportunities to progress up the ladder. He now has to take advantage of those opportunities. From becoming the youngest player to score a hat trick in the USL’s modern era to a series of spectacular finishes throughout the season, there’s no young player that has caught the imagination of the broader North American soccer public this year than Efrain Alvarez. 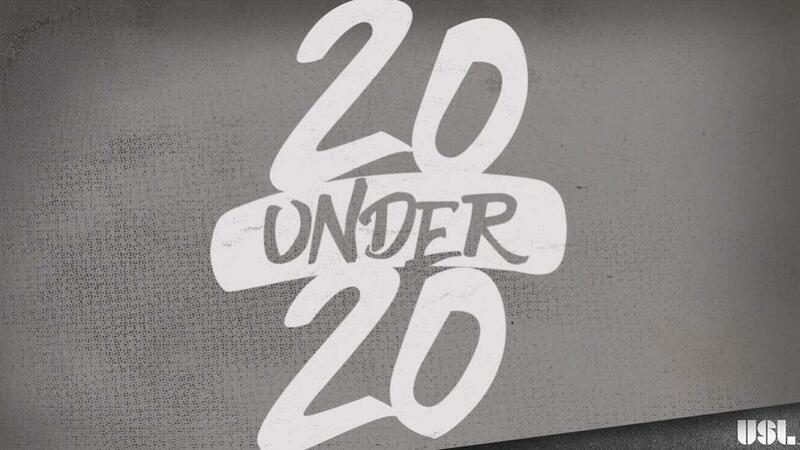 As a result, the 16-year-old is this year’s No. 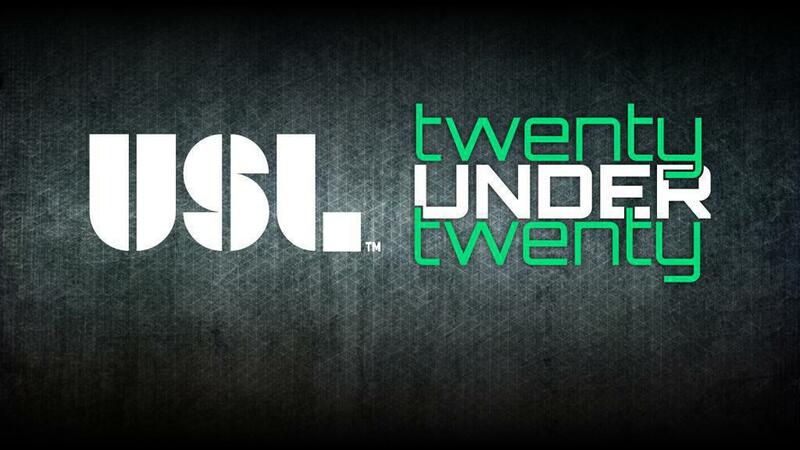 1 selection in the USL 20 Under 20. Alvarez’s scoring rate of a goal every 95.75 minutes is only surpassed among players with 10-or-more goals this season by current USL Golden Boot leader Cameron Lancaster as the quick release Alvarez is capable of in getting powerful shots away with his left foot reduces reaction time for opposing defenders and goalkeepers. That’s been evident in a handful of Alvarez’s 12 goals this season, which have seen a short back-lift still result in a powerful, precise finish. Four of Alvarez’s goals have come from outside the penalty area, tied for third in the league. Signed to a Homegrown contract by the Galaxy this past March, it’s fair to say his full debut for the club is going to be highly anticipated when it arrives. After his successful first full season in the USL, that day may not be far away. How would you evaluate Efrain 2018 season and what has he showed to you this campaign? Efra has been the biggest surprise of the season, yet he hasn’t because we knew what he was capable all along. We were surprised that he adapted to the league, the physicality, the maturity so fast. Literally from the moment he started playing consistently he took the opposition by storm. His numbers don’t lie and if he was with Galaxy II the whole season I firmly believe he would be the leading goal scorer and a top-five assist leader in the USL. Unfortunately, his commitments with the Mexican National Team didn’t allow that schedule-wise, but that's OK.
What’s ahead for Efrain and what will take his game to the next level? An opportunity to play first team futbol next season. An opportunity to play in a U17 World Cup. Efra knows exactly what he has to do on the field and off the field to give himself the best chance to make a long career for himself either here in the United States or abroad. He has a good head on his shoulders, a good network of people around him, he has all the tools, now it’s just about maximizing them. I’m excited and intrigued for Efrain’s future.